There is leterally nothing like the Supernova series - remarkable self-contained extractors that clean in both forward and reverse! 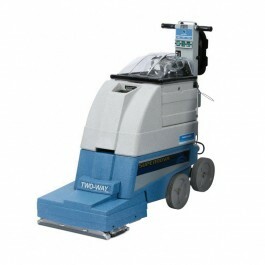 The patented two-way system provides unparalleled productivity in any setting - clean up to 370 sq. metres in one hour. 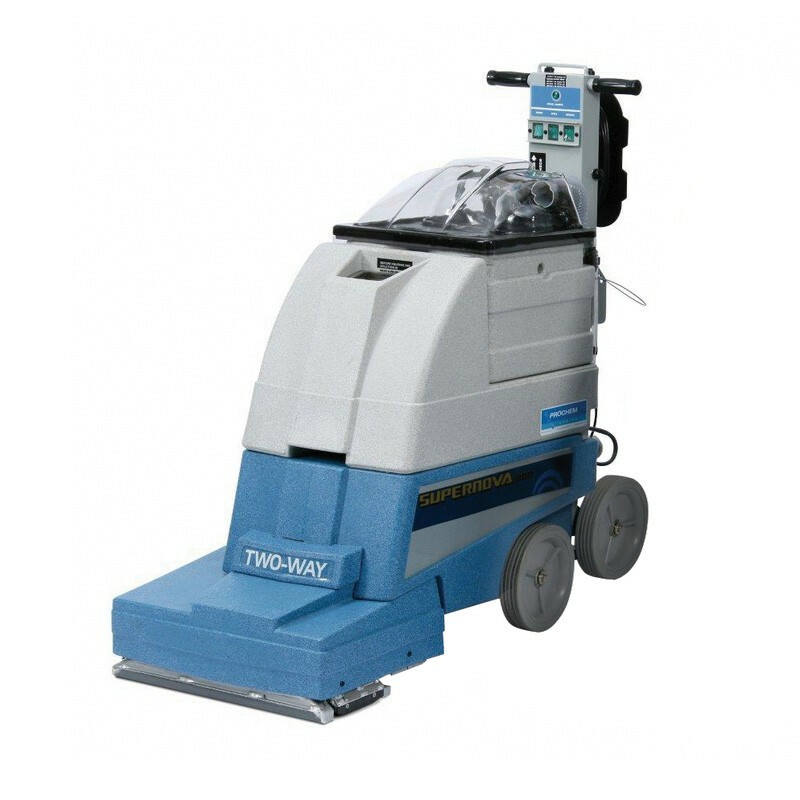 Both models operate forward in hallways and other open areas, but with a simple pull of a lever instantly change to reverse to clean corners and other tight areas for a dramatic reduction in labour costs. A specially designed vacuum head allows cleaning on hard floors in addition to carpets, without any cumbersome attachments. Just walk off carpet onto hard floors - it's that simple. Dual vacuum motors and a 48cm (19") cleaning width combine with a host of other exclusive features to guarantee unrivalled performance. Two-way system for forward and reverse operation. Patented self-adjusting, self-levelling brush and vacuum shoes for easy cleaning of all carpet lengths and uneven floors without the need for manual adjustment. Two-way operation cleans upto 370 sq. metres per hour. Patented four wheel design gives extraordinary balance and reduces turning radius for easy manoeuvrability in tight areas. 70 decibel silencer fitted as standard, ideal for "quiet cleaning areas". Side extension for cleaning right up to skirting boards.